Can Super Coral in Hawaii Save Our Underwater Landscape? Hawaii just wouldn’t be, well, Hawaii if not for our amazing ocean, coral reefs, and wildlife, and they’re a top-tier visitor attraction for many who come here. In fact, when you book your vacation through Hawaii Aloha Travel, you have a whole host of ocean activities at your fingertips, if you want to explore Hawaii’s underwater scenery. Choose from a Maui Scuba Dive, a Maui Snorkel and Kayak, or a Big Island Scuba adventure, and you’ll get an up-close view of this spectacular world under the waves. One of the biggest underwater attractions? Coral reefs. They proliferate and grow into colorful, extraordinary-looking colonies—a big draw for locals and visitors alike. 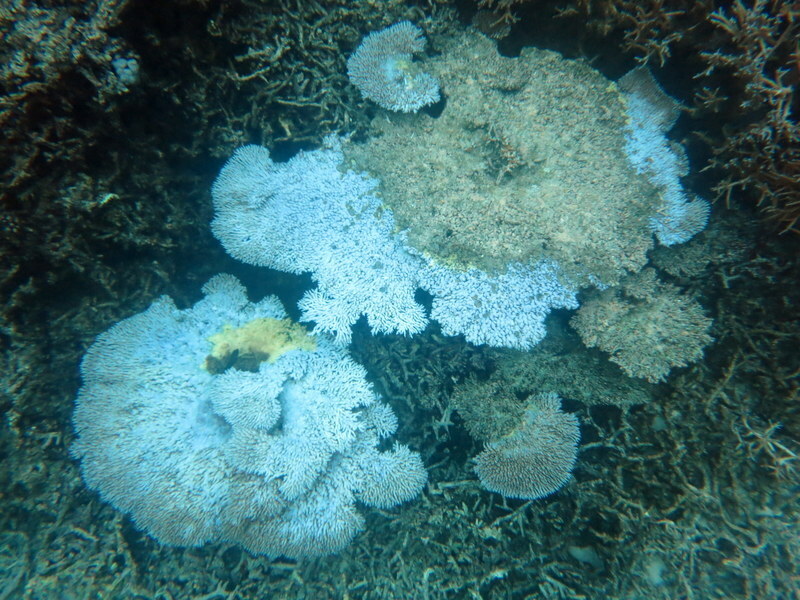 Problem is, some of our state’s coral is experiencing what marine biologists call “bleaching,” when some coral turns white after it expels its algae (zooxanthellae) due to too-warm ocean temperatures. This is what coral bleaching looks like as the coral turns white after expelling its algae (zooxanthellae). However, underwater researchers recently discovered that not ALL coral is susceptible to the harmful effects of warm ocean waters. At least one species, a so-called super coral in Hawaii, seems to, in fact, be thriving! Researchers at the Kewalo Marine Laboratory recently told Hawaii News Now that they have been conducting tests on leptastrea purpurea, commonly known as crust coral and have found this species is resistant to coral bleaching. According to Hawaii News Now, Narrissa Spies, a doctoral student in the biology department at the University of Hawaii at Manoa, first developed an interest in the coral’s unusual reproduction. After the devastating molasses spill in Honolulu Harbor in 2013, she noticed something else. “The fact that it survived the molasses spill when everything else died was outstanding,” Spies told the news station. Spies and some colleagues at the Kewalo Marine Laboratory started doing experiments. They discovered that the coral was incredibly resilient. “We found out that it was the most resistant to many different stressors. We’re talking about temperature, sedimentation, chemicals,” Francois Seneca, a junior researcher at the laboratory, explained to Hawaii News Now. The research comes as state deals with unprecedented coral bleaching in Hawaiian waters. According to Brian Nielson, an aquatic biologist with the Department of Land and Natural Resources, extended periods of warmer water are stressing and killing coral beds. That trend is likely to continue as temperatures continue to rise. This is what healthy coral should look like, with lots of colorful branches and marine life. Healthy coral is a big draw for visitors. Leptastrea purpurea does have some limitations, though. But, researchers hope the coral will give them clues that will save other corals. “What specific part this one coral species plays in the grand scheme of things, I don’t know, but the fact that it can survive when very few other corals can’t, I think it’s worth taking a closer look,” Spies said. Who knows? Perhaps this species of coral can shed light on how to save other kinds of coral, which is currently experiencing bleaching. Researchers say it’s at least worth a closer-look. Plus, for visitors, more healthy coral means more underwater landscapes to explore!